M.N. : I do not know Mrs. Clinton. But I absolutely trust her. It is a gut feeling. And I hope that the others do absolutely trust her too. We choose our leaders on the basis of how we feel about them, not what we think, or how much we know or do not know about them. This knowledge, which is always limited and incomplete, changes very little, and most often just confirms our feelings. We believe in our leaders, that's how they become our leaders. M.N. : I do not know Mrs. Clinton. But I absolutely trust her. It is a gut feeling. And I hope that the others do absolutely trust her too. We choose our leaders on the basis of how we feel about them, not what we think, or how much we know or do not know about them. This knowledge, which is always limited and incomplete, is almost irrelevant, it changes very little, and most often just confirms our feelings. We believe in our leaders, that's how they become our leaders. "The president did not mention the F.B.I. director, James B. Comey, but it was clear Mr. Obama was referring to him. Declaring that he had “made a very deliberate effort to make sure that I don’t look like I’m meddling in what are supposed to be independent processes for making these assessments,” Mr. Obama nonetheless expressed confidence in Mrs. Clinton. White House officials later downplayed Mr. Obama’s remarks about the F.B.I. and insisted he had not meant to criticize Mr. Comey." 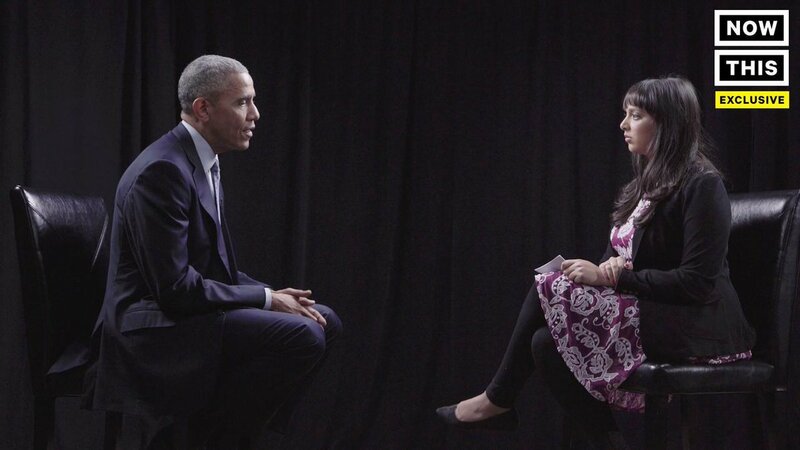 'We don't operate on innuendo' — President Obama | M.N. : That's right, Mr. President. It's the innuendos that operate on us, if we allow them. M.N. : That's right, Mr. President. It's the innuendos that operate on us, if we allow them. WASHINGTON — President Obama sharply criticized the decision by his F.B.I. director to alert Congress on Friday about the discovery of new emails related to the Hillary Clinton server case, implying that it violated investigative guidelines and trafficked in innuendo. The president did not mention the F.B.I. director, James B. Comey, but it was clear Mr. Obama was referring to him. White House officials later downplayed Mr. Obama’s remarks about the F.B.I. and insisted he had not meant to criticize Mr. Comey. “The president went out of his way to say he wouldn’t comment on any particular investigations,” Eric Schultz, a White House spokesman, told reporters on Air Force One while Mr. Obama was en route to North Carolina to campaign for Mrs. Clinton. Mr. Schultz characterized Mr. Obama’s remarks as mirroring those made in recent days by the White House press secretary, Josh Earnest, who had said that while the White House would not criticize Mr. Comey’s decision to update Congress on the status of an ongoing investigation, Mr. Obama believed that rules intended to keep such investigations confidential were good ones and should be followed. For the last several days, the F.B.I. has been analyzing emails belonging to Huma Abedin, a top adviser to Mrs. Clinton. Agents discovered the emails last month in an unrelated investigation into Ms. Abedin’s estranged husband, the disgraced former congressman Anthony D. Weiner. In a letter to Congress, Mr. Comey said those emails might be pertinent to the investigation into Mrs. Clinton’s use of a private email server. Authorities concluded that case in July with no charges. But the letter, sent over the objection of the Justice Department, led to controversy because it deviated from longstanding guidelines. It is increasingly unlikely that agents will finish their work on the emails by Election Day, F.B.I. officials said. They said there was a chance they could offer updates before next Tuesday. The renewed interest in Mrs. Clinton’s emails — a matter she believed she had put behind her months ago — has exploded in the final days of the presidential campaign, with recent polls showing that the race is tightening. 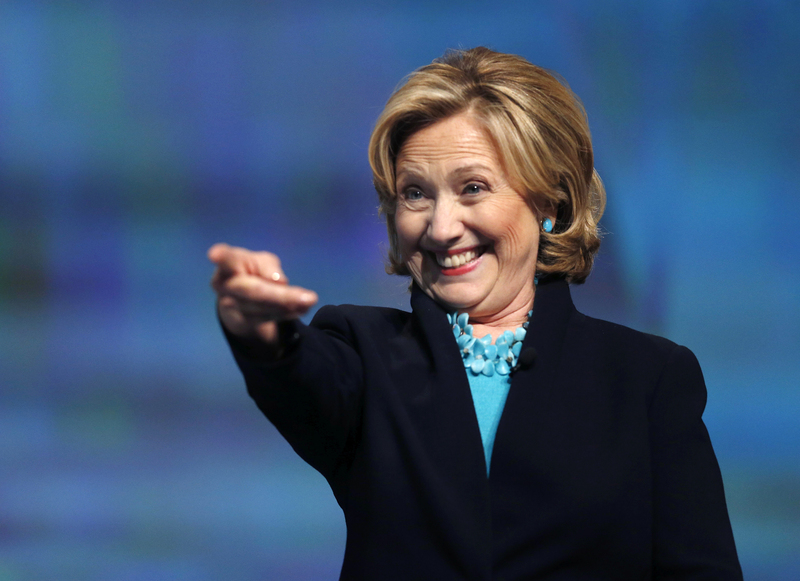 But Mrs. Clinton remains ahead of her Republican challenger, Donald J. Trump, in most national polls to date. Much is unknown about the new emails, including why they were on Mr. Weiner’s laptop in the first place. Ms. Abedin, through her lawyers, has adamantly denied using that laptop, which people with knowledge of the matter have said was identified in court papers as a Dell model. People with knowledge of the matter have said that the emails may have ended up on the laptop because they were inadvertently backed up or downloaded onto an older computer and then transferred from the older computer to the laptop’s hard drive when the older computer was replaced. Mr. Obama first commented publicly on the investigation last year before the F.B.I. had determined that neither Mrs. Clinton nor her aides would face charges for mishandling classified information found on the secretary of state’s private email server. The president’s remarks angered F.B.I. agents who said he was prejudging the investigation. Law enforcement officials have made an arrest in a pair of ambush-style killings of two metro police officers. Reports indicate the suspect was captured alive in Dallas County around 9 a.m. Wednesday. Scott Michael Greene was located in Dallas County by the Dallas County Sheriffs Office and the Iowa State Patrol. As of 9:45 a.m., he was being transported back to Des Moines. The Des Moines and Urbandale Police Departments identified the suspect as Urbandale resident Scott Michael Greene, 46. Greene is 5’ 11” / 180 lbs with brown hair and green eyes. Greene was last known to be driving a blue 2011 Ford F-150 with Iowa license plate 780 YFR. The truck has a silver colored topper with a ladder rack. Des Moines police said two police officers were shot and killed overnight, in what police describe as ambush-style attacks. The first shooting happened at 1:06 a.m. at 70th & Aurora. An Urbandale police officer was shot and killed there. The second shooting happened blocks away at Merle Hay & Sheridan at 1:26 a.m. A responding Des Moines police officer was shot there. He was transported to Methodist Hospital, where he died a short time later. Des Moines police said the shootings appear to have been ambush-style attacks. Des Moines Police Sgt. Paul Parizek said both officers appear to have been shot while sitting in their cars. “It doesn’t look like there was any interaction between these officers and whoever the coward is who shot them while they sat in their cars,” said Parizek. Urbandale Police Sgt. Chad Underwood indicated that this is the first deadly Urbandale police shooting he is aware of. He said the Urbandale department employs about 50 officers. Parizek said the identity of both officers will be released in due time. Parizek said there is "a clear and present danger" right now for police officers in the area, because the officers were gunned down while sitting in their cars doing nothing wrong. He said the department has doubled up its officers to better protect them. There is a clear and present danger to police officers right now,” said Parizek. “There is clearly a danger if you’re a police officer. These officers were gunned down sitting in their car doing nothing wrong, so there’s definitely some danger out there. There’s somebody out there shooting police officers. We hope we find him before anyone else gets hurt. We definitely don’t want anyone in the public or the community to get hurt. But there is a clear and present danger to police officers right now,” said Parizek. Expect morning commute traffic delays at both shooting locations. All Urbandale schools will be closed for the day. Stay with <a href="http://KCCI.com" rel="nofollow">KCCI.com</a>, the KCCI app and KCCI 8 News This Morning for breaking news updates. “The governor and lt. governor have been alerted to the attacks on law enforcement this morning. Shortly after the shootings, our office was briefed by the Department of Public Safety (DPS) on the shootings. DPS is working hand in hand with local law enforcement in the investigation. We will continue monitoring and working with law enforcement in the interest of public safety. Scott Michael Greene, of Urbandale, is wanted in the shootings and is considered armed and dangerous, police told the Des Moines Register. Reports that Hoover was secretly gay and a cross-dresser had been around for a long time, but that did not lead to his demise, even in those times of deep homophobia. This was despite rumours that the Mafia had compromising photographs of him with his alleged lover, his assistant Clyde Tolson, and this was one of the reasons Hoover had been so reluctant to go after organised crime. Some of what Hoover did - his reds under the beds witchhunts, his persecution of the civil rights movement - was gross abuse of power. But even J Edgar, in his 48 years in the office, did not do what James Comey, the present head of the FBI, has done - carried out a public intervention on the eve of a presidential election which may change the outcome. Last week’s announcement about Hillary Clinton’s emails was not the first time that Comey has been called into question. The half dozen chiefs who followed Hoover at the FBI after his death in 1972 had deliberately kept a low profile to distance themselves from the founder’s autocratic ways. The seventh and current incumbent, say American security officials, is reversing that process. Comey, who is a registered Republican who contributed to Mitt Romney and John McCain’s campaign funds, served as a deputy attorney general in George W Bush’s administration before Barack Obama appointed him to his FBI post. The new chief was soon undermining presidential priorities on forming a federal policy on cyber-security and encryption. He publicly took the opposite stance to the White House on the repercussions of the Ferguson shooting. Then came his decision to hold a press conference into the email investigation in the summer, during which he officially cleared Hillary Clinton of illegal acts but then went on to scathingly criticise her about the matter. This, in itself, was in breach of FBI protocol, ignoring a Justice Department warning that it would look like interference in the election and would be against established Bureau practice. At the same time, we have now learned, Comey had tried to stop revelations that Russians had hacked Democratic party emails, the contents of which had helped the Trump campaign. The director apparently argued that it was too close to the election for this to be made public. The Democrats, of course, are furious with Comey. But there has been mounting criticism of his actions over the Clinton emails from Republicans as well. Trump himself, facing defeat at the polls until Comey’s intervention, has been exultant. “We have fantastic people at the Justice Department, fantastic people at the FBI,” he cried at a rally. Security officials point out the irony of Trump now lauding the FBI: he has been highly critical of the American security and intelligence agencies during his campaign. Such was the level of Trump’s suspicion that he has been taking a retired Lieutenant General, Michael Flynn, to classified briefings in case he was being hoodwinked. Flynn’s chief qualification as intelligence assessor it seems, for Trump, is that he is “a real fan of mine [who] feels like I do about illegal immigration, in particular”. US security officials, in turn, have been worried about Trump’s statements on carrying out nuclear strikes, his public expressions of admiration for Vladimir Putin and acceptance of the Kremlin’s annexation of Crimea, and his hiring of men with commercial ties to Russia. There is, of course, the possibility that Hillary Clinton will still win the election and inherit Comey as FBI head. She can sack him, but only one chief has ever been sacked - William Sessions, appointed by Ronald Reagan, and fired by Bill Clinton after numerous allegations of personal malpractice. Bill Clinton could not, however, fire the man he appointed to fill “Hoover’s pumps”. Shortly after becoming director Louis Freeh turned in his White House pass; he refused to go to the Oval Office and only spoke to Clinton half a dozen times, not once during the President’s second term. The reason was that, under Freeh, the FBI was carrying out a series of investigations, professional and personal, into Bill Clinton, ranging from Whitewater to Lewinsky. The President could hardly sack the head of the Bureau when it was investigating him. Freeh eventually resigned after eight years in office, in 2001, after FBI agent Robert Hanssen was exposed as a Russian agent. That may be the scenario facing Hillary Clinton at the White House: lumbered with a FBI chief she loathes, unable to sack him because he is investigating her, hoping that that something occurs on his watch that will force him to leave.